That's right. Tomorrow we're going to have a booth in Brno at Czech Game Access 2016 and for the first time we're going to see people outside Craneballs (save our well meaning family members and friends) play Planet Nomads. Well "play Planet Nomads" is still a bit of an overstatement, but visitors of our booth will be running through an Earth-like world and spot an animal here and there (minding its own business or battling rivals for territory). With a bit of creativity, they can build their own means of transport or just load one of our own. We then recommend taking it for a ride! Physics will be plenty on display - suspension bumping, wheels and rotors turning and joints enabling all kinds of structures. 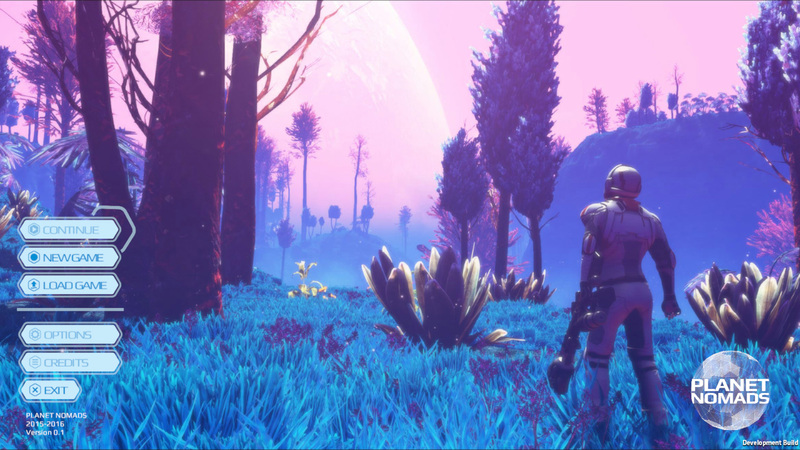 Not only are we keen to see people play Planet Nomads, see their reactions right away and get a real feel of what we are creating, but even for us, the whole experience was pretty surreal. Which is strange, because having a build with a piece of the game actually makes it all very real. We also got a feel for the continuous live development that will begin with the launch of closed-alpha, and early access later on. Once the game is out for closed-alpha backers and people with preorders, there's no coming back, only forward. So we started having development branches - one for the build that is about to go live, while the main branch goes on, where the rest of the developers keep working uninterrupted on the next batch of features. We are just about to hit the road. We are little nervous, but mightily pumped and ready for anything that's going to happen. We'll let you know how it goes. In short, Planet Nomads is a game now.